When wildlife baby season for squirrels comes around, it’s time to think about how to keep them out of your home or business. Because if you don’t, you may find yourself having unwanted houseguests for several weeks — or years if you’re not careful. The key to taking effective prevention measures is being aware of what times of year you need to be on highest alert for baby squirrel invasions. This way, you can take steps in advance to prevent conflicts from occurring (for example, by preventing them from trying to raise their young inside your home or business). Begin by learning about their mating cycles. Squirrels mate twice per year, in the middle of summer and early spring. The babies are born 100% dependent on their mother, but within ten weeks, they’re usually independent and able to live without her. That being said, if they’re born in the fall, they might stick around to live with mom until winter is over. It’s important to know when baby squirrels are able to live without their mother because you should never evict them from your property when they’re too young to survive alone. March and June, before babies are born, are good months to inspect your property for cracks, gaps, and other holes that squirrels can use to get inside where they don’t belong. However, you can further improve upon this maintenance schedule by moving the March inspection to the fall when warmer weather is still around. As long as you inspect before babies are born, you’re good to go. After making sure an animal isn’t already in residence, repair any gaps you find so they can’t be used as a door for a new squirrel nest. As long as the animal doesn’t have babies with them, you can seal up the gaps as soon as the creature has left the premises (for example, they will likely leave several times a day to go out in search of food). Once you’ve repaired an area, continue to monitor your property once or twice per year (remember, March and June are good times to do this, or alternatively, prior to winter and again in June). You need to make sure any repairs you’ve done are holding up over time, and that new gaps or holes don’t show up. Install squirrel prevention screening in your chimney. Repair loose shingles on your roof. Make sure branches on nearby trees can’t be used as a springboard for squirrels to access your roof. Keep an eye on soffits and siding, ensuring there aren’t any damaged areas that wildlife can exploit to gain access to indoor areas like attics, crawl spaces, or wall cavities. 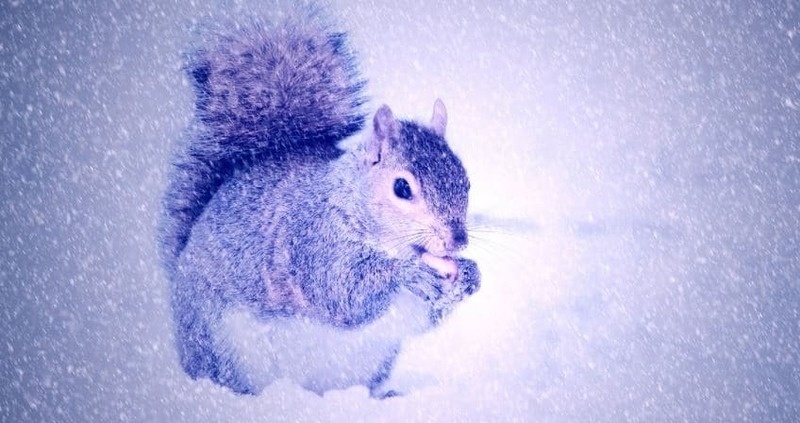 Squirrels are one of the number one animals property owners find themselves doing battle with. But with some careful preventative measures, you can co-exist peacefully with these playful creatures and enjoy nature, without worrying about damage to your property and “home invasions”. If it’s already too late because squirrels are currently living in your attic, chimney, or some other place where they don’t belong, hiring a professional for squirrel removal is by far the easiest way to go. Looking to protect your home from unwelcome wildlife this winter or need to get rid of an animal fast? Contact Halton Wildlife Services today!